We love seeing you guys living your #unisportlife to the fullest, so we asked ourselves: "How can we show our appreciation?" We ended up creating a concept where we give you the chance to win great prizes when you share your latest gear and greatest football moments. Our motto, #unisportlife, can mean a lot of different things. It can be the moment when you unbox your new football boots, or the moment when you have a game of football with your friends on a warm summer night. But it can also be tougher moments, like the feeling after a defeat against your worst rivals. Only you can decide what #unisportlife means to you. 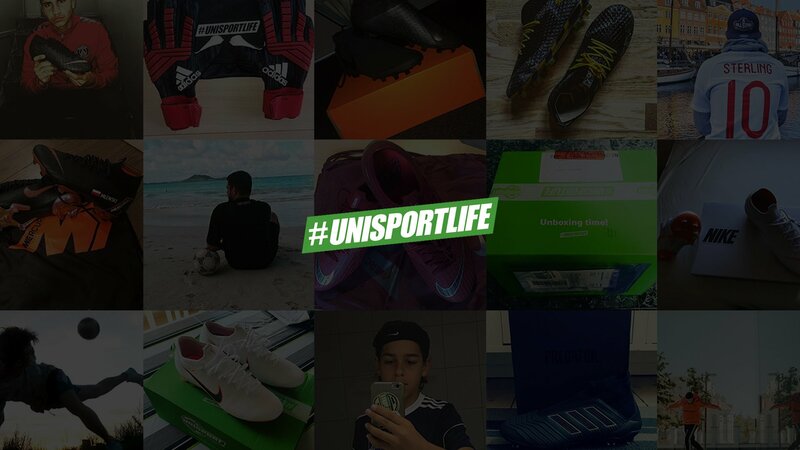 During the years, a lot of you guys and girls have shared your #unisportlife at social platforms like Instagram and Facebook, but maybe we haven't given you the love you deserve for doing that. Therefor, we have now launched a concept where we give you the chance to win prizes by sharing your football experiences. On our new #unisportlife site, we will pick winners for the best Picture of the week, Picture of the month and last but not least Picture of the year. All you have to do in order to be able to become any of these, is to share your best football moments and tag them with #unisportlife. Check out our new #unisportlife site where you can find past winners!